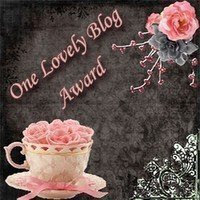 wow my first blog award! woot!! Thanks girl :) That broccoli looks so divine I can't wait for my to grow. I tried baking broccoli and cauliflouer and love the nuttiness it brings out. awww!!! cool !! love seeing your picks! they are fantastic! Thanks Christina! I am way behind on my blog reading and just got over here to discover this. So sweet! Wow, I feel so honored to be in that category! Thanks Christina!! I've done something similar with olive oil and it's a delicious way to prepare it.